HIV Testing At Home - What to Expect? HIV Testing At Home – What to Expect? You are here: STD Test Options > Blog > HIV Testing At Home – What to Expect? A home HIV test is the best way to check your health status from the privacy of your home. It’s not as accurate as a lab test but it’s great for those who are afraid of going to a clinic. There are two kinds of home HIV tests. If you want complete anonymity, get a rapid at-home test. 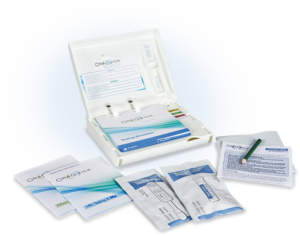 In the United States, there is only one approved by the FDA: the OraQuick test for HIV-1 and HIV-2. If you want a more reliable lab test, order from companies like myLabBox and STDCheck. How Does a Rapid Home HIV Test Work? The OraQuick test does not involve any blood. Instead, you take a mouth swab. You then insert the swab into a solution and leave it for around 20 minutes. After 20 minutes, check for lines on the test window. If you are negative, you’ll see a single line next to the C mark. If you are positive, you’ll see two lines; one next to the C and another next to the T.
Even if the lower line appears only faintly, it may still indicate a positive result. Is the OraQuick Home Test Accurate? 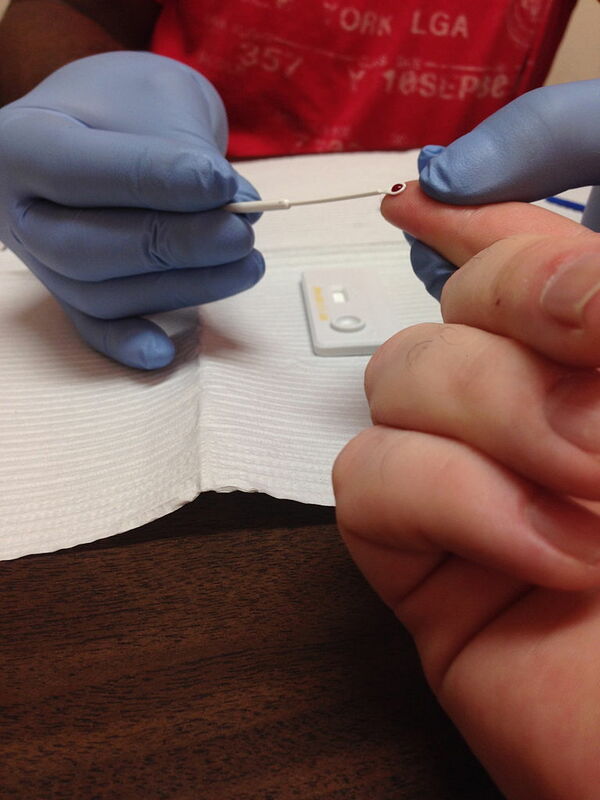 The test can detect, with high accuracy, the presence of HIV three months after infection. If you take the test before three months are up, you may test negative even though you might have HIV and are highly infectious. This is because the test looks for the presence of antibodies produced by your immune system in response to HIV. It takes some time before your body produces enough antibodies for an oral test to detect. The period before the antibodies show up is called the window period. That’s why it is a good idea to get a follow-up test at a clinic or hospital if you get a negative test result just to be sure. Lab tests can detect HIV infection much earlier because they look for HIV’s RNA in blood rather than antibodies. The best thing is to get a follow-up test at a clinic or hospital to confirm the results. If you feel anxious or scared, call OraQuick’ssupport line at 1-866-436-6527. They will help you take the next step. Remember that a positive HIV test is not a death sentence. With medication and proper management, you can still enjoy a happy, healthy and long life. How do At-Home Lab Tests Work? If you want a more accurate test but without giving up your anonymity, an at-home lab test is the best. There are two types: a walk-in lab test like the one provided by STDCheck.com and an at-home lab test like the one sold by myLab Box. With STDCheck, you order the test online and then visit a testing center near you to provide a blood sample. Your results will be ready in 1-2 working days. 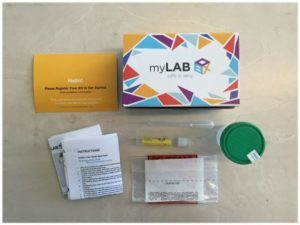 With myLab Box, you order the test online but take a blood sample at home. You’ll be sent a sampling kit that you’ll use to prick your finger, collect blood and secure it for mailing back to the lab. Your confidential results will be ready in 2-5 working days. STDCheck does an RNA early detection test that can detect the presence of HIV 9-11 days after infection. myLab Box uses the traditional antibody test so there is a risk of a false negative if it’s been less than three months after infection. If you test negative, take the test again after 3 months. If your results are positive, both myLab Box and STDCheck provide phone support. It’s also a good idea to get a follow-up test from your doctor. Is a Home HIV Test Painful? An oral test is painless. You just need to swab the inside of your mouth. If the test requires a blood sample, it’s going to be slightly painful. But it’s only a pinprick. You only feel pain for a second. How Do I Prepare for a Home HIV Test? It will depend on the type of test. 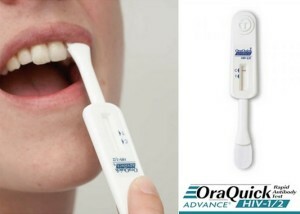 For the OraQuick test, do not eat, drink, smoke or brush your teeth 30 minutes before the test. Also, don’t use mouthwash or chew gum. If you have any removable dental products covering your gums, remove them. For blood tests, there’s nothing you need to do. ← I Tested Negative, But Could I Still Have an STI?